Olentangy Liberty High School is the BEST in Central Ohio! The results are in… according to a huge annual report in US News & World Reports, Olentangy Liberty High School is the best high school in central Ohio. The high school in the Olentangy Local School District ranked number four in the state of Ohio behind three Cincinnati area high schools. The high schools national rank according to USNews.com is 152. The report also reveals test scores and the demographics of the school body. The Olentangy Local School District site now has attendance areas for the three high schools online. Middle school and elementary school attendance information is available as well. Attendance areas within a school district are subject to change. Changes in population may make the school district “redistrict.” Currently there are maps and a chart for the attendance areas now. The school district site says “Last updated: November 29, 2012″ of the attendance areas. 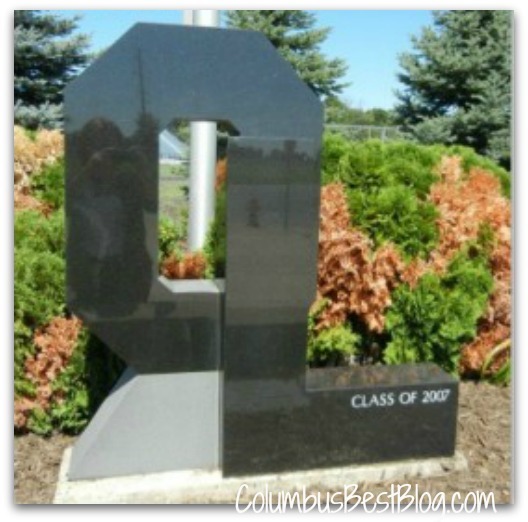 Olentangy Liberty High School is at 3584 Home Road, Powell, Ohio 43065. The other two high schools in the district are also ranked in the top ten schools in central Ohio in 2013. The methodology USNews.com used in ranking the Best High Schools did not change from 2012. US News, a magazine and online magazine partnered with an organization named ‘American Institutes for Research’ or AIR to rate / rank US schools. ‘AIR’ is a behavioral and social science research organization. US News explains the methodology in “How U.S. News Calculated the 2013 Best High Schools Rankings” on their site. Right away there were some comments there about the rankings being “dumb” or wrong. US News used a three-step process to determine the Best High Schools ratings / rankings across the US. Serving all students well, not just those going onto college is important. The full report in US News has a “Why High Schools Moved Up and Down in the Rankings” (since 2012) and lots more to read. Looking for information on another central Ohio high school? You can search for a high school by name on the US News report (link above.) You can click on Ohio and see the rankings (top 125 high schools in the state ranked) and ratings for high schools across the state. The state of Ohio grades schools. The US News report is different than the Ohio report cards for school districts and individual schools issued (delayed) last fall – Columbus Best Schools Report Cards. Previous post: April: Things to do in Columbus this weekend?